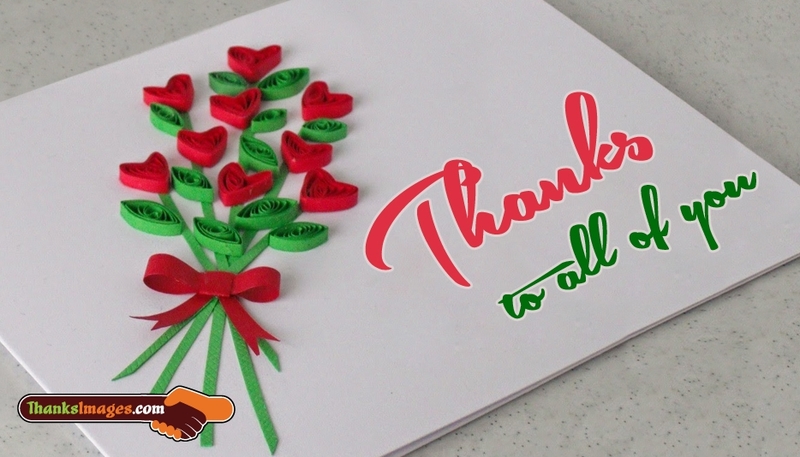 A cute and artistic thank you note designed with the flowers in quilling papers. A thank you note could be the best to express the heart felt gratitude. Free download and share this "Thanks To All Of You" image to everyone who wished you on your birthday. Feel free to share the image through any social networking platforms.